Checkout Scott’s Backyard System in NE DC! As pictured, the system is operating under the tarp for winter. It expands out during the rest of the year, and Scott is continually adding growbeds. Here’s a link to his forum thread in case you are interested in more info: Scott’s aquaponic forum thread. 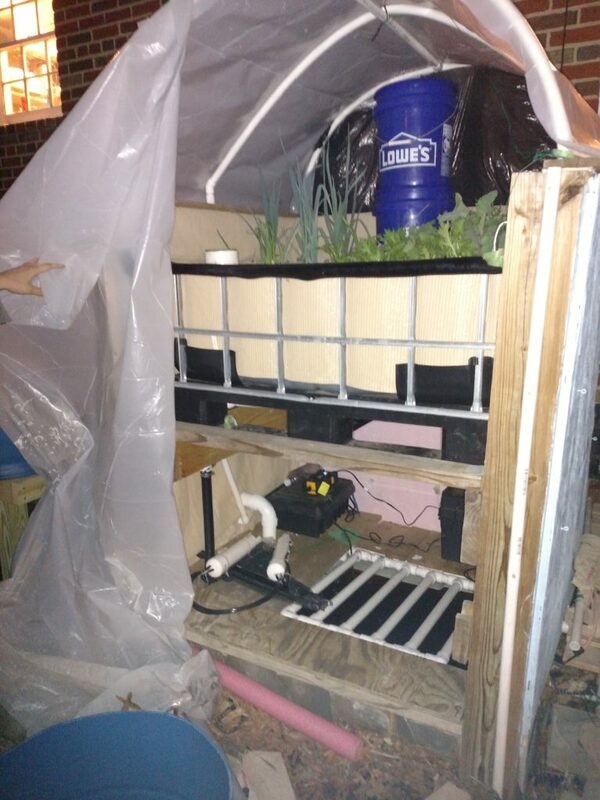 Author AdminPosted on February 10, 2017 February 10, 2017 Categories aquaponic systemsTags aquaponics, blue gill, sustainability, urban agriculture, washington dcLeave a comment on Checkout Scott’s Backyard System in NE DC!